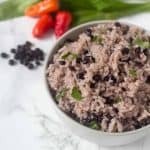 Rice with Pigeon peas and coconut (Arroz con guandu y coco) | Nashi Food! Do you want to try a new side dish, to enjoy your holiday menu? 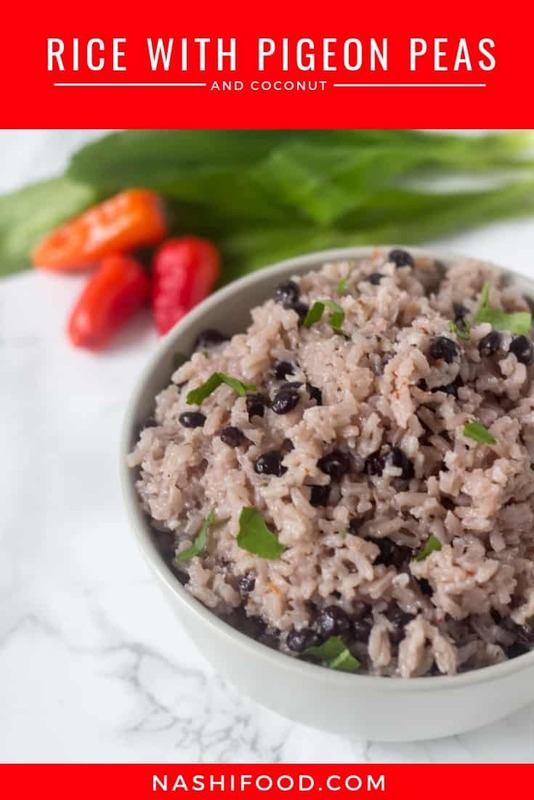 I invite you to try the rice with pigeon peas and coconut milk. In Panama, it is an essential part of any holiday menu. December is already around the corner. It is the month of celebrating, sharing with the family and also important, eating all those delicious foods that are present for the holidays at the end of the year. 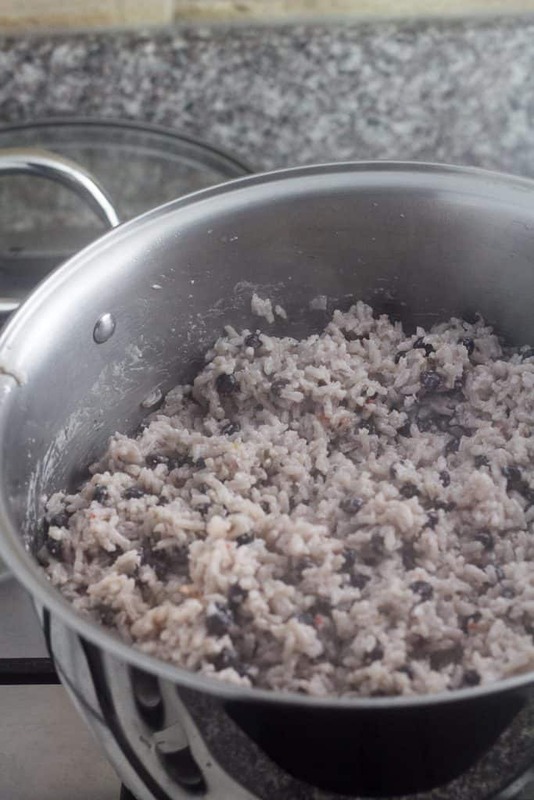 Today I’m sharing with you a dish that is always on the table for Christmas or New Year, rice with pigeon peas and coconut (arroz con guandú y coco). 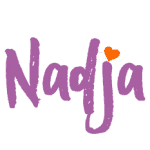 Just thinking about it makes me smile. It is part of the Panamanian tradition to always have rice with guandú for special events and end of the year holidays. 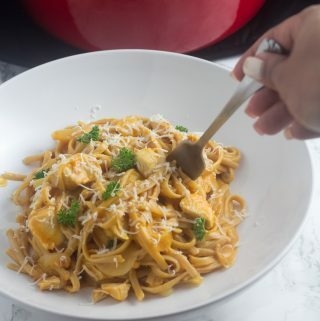 I love adding coconut milk because it gives that special touch and makes it even better. This rice is usually used to accompany Caribbean dishes. You can also serve it with turkey, ham, chicken or stewed meat. In Panama, you can find two kinds of pigeon peas, green and purple, which some call “el oloroso”. These tend to dye rice dark and it tastes delicious. 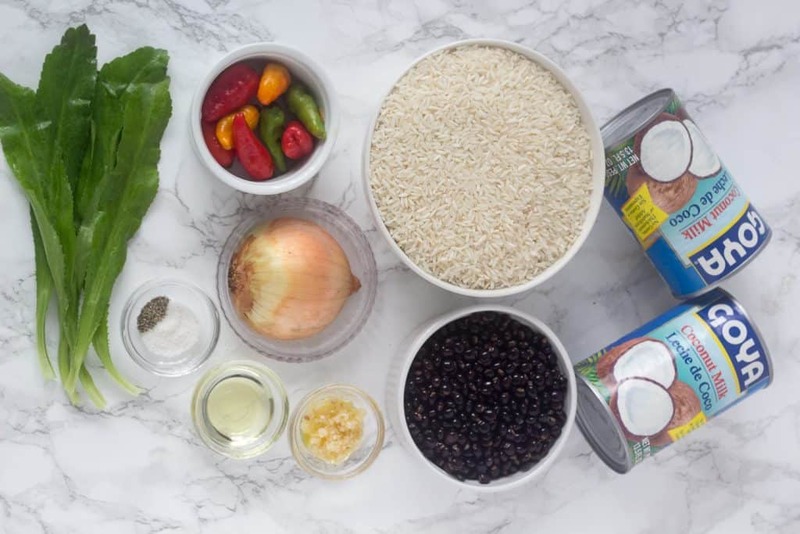 What ingredients do we need to make rice with pigeon peas and coconut? As for utensils that we are going to need are a chopping board, a knife, a pot to make the rice, and a spoon to stir. 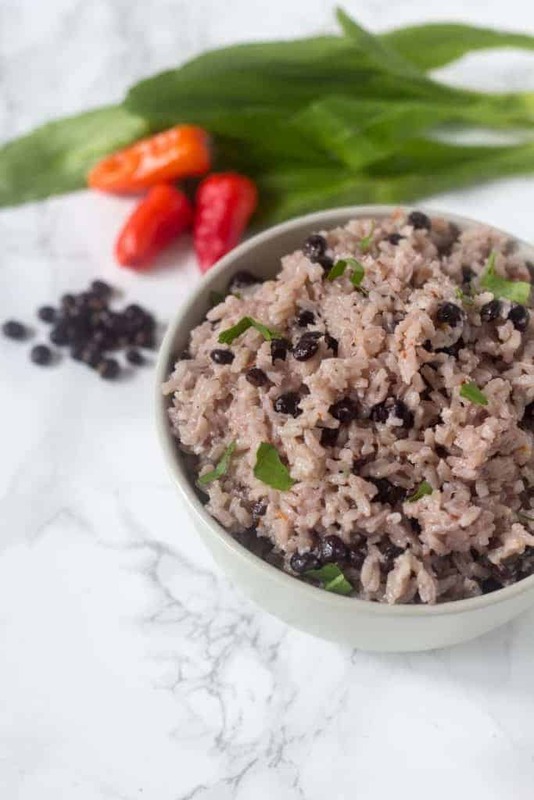 How to prepare rice with pigeon peas and coconut? 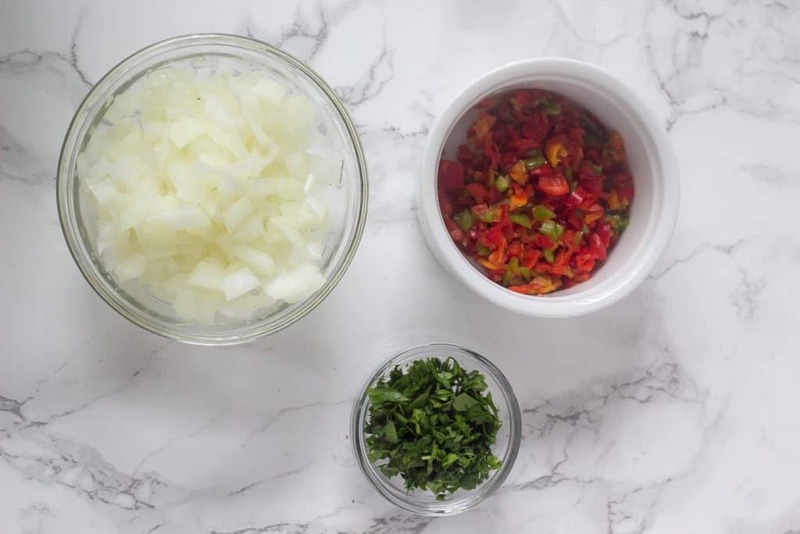 To begin with the preparation of the rice with pigeon peas and coconut, we are going to prepare the ingredients for the sofrito. Dice the onion and sweet pepper. Slice thinly the culantro leaves. We are going to cook the pigeon peas until they are al dente. For this, heat a pot over medium heat, place the oil and let it heat up. Add the onion and sauté for 2 minutes. Next add the garlic, sweet peppers, culantro leaves and sauté for about 2 more minutes or until the onions are soft. Then add the pigeon peas and sauté for an additional 6 minutes. 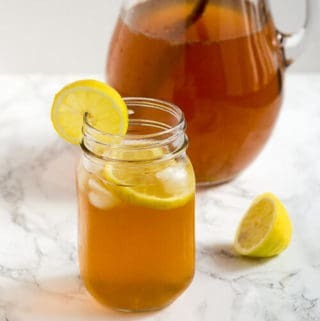 Once the time has passed, add 1.5 cups of water and let it cook until the pigeon peas are soft, but do not break down. This took me around 15 minutes. Next, add the rice, coconut milk, salt, black pepper and a half cup of water to cover the rice and pigeon peas. Mix everything and cover the pot. Cook covered over low heat until the rice is ready in about 30 minutes. The rice with pigeon peas and coconut can be served with the delicious turkey that your mother makes or your Grandmother’s Christmas ham. If you do not have much time to do any of those options, you can also make a stuffed chicken. Or you can even prepare these delicious pork chop or even a fried fish. When the year-end date approaches, Panama becomes chaos buying pigeon pea, and prices usually rise exorbitantly. Between $ 2.00 to $ 6.00 per pound for pigeon peas. In those cases, that you did not manage to get the fragrant pigeon peas, you can use the canned ones. Another tip that I will give you is that you can also make your rice with pigeon peas in the rice cooker. When you do not have that much time, and you get your can pigeon, you do not need to soften the pigeon pea first. 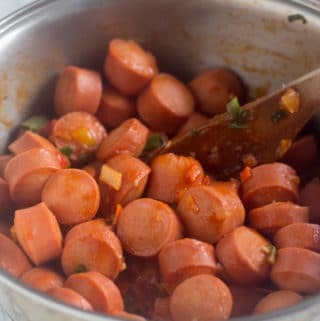 I would recommend making the sofrito and adding it with the rest of the ingredients to the rice cooker, turn it on and let the rice cooker do its magic. 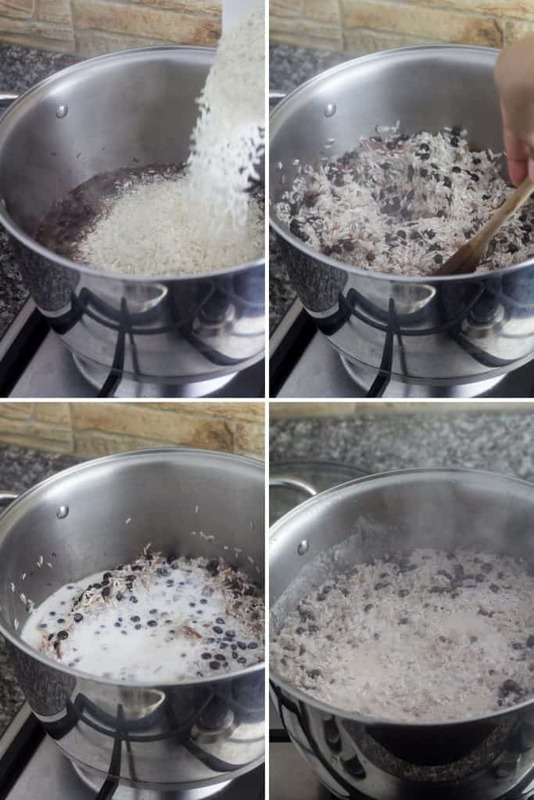 If for some reason you do not like the idea of eating rice with coconut milk, you can omit it and replace it with the same amount of water for cooking the rice. Do you want to try a new side dish, to enjoy in your holiday menu? I invite you to try the rice with pigeon peas and coconut milk. In Panama, it is an essential part of any holiday menu. Wash your fresh pigeon pea and set aside. Dice the yellow onion and the sweet peppers. Next thinly slice the culantro leaves. Heat a pot to medium heat. Add the oil and let it heat up. Add the chopped onion and sauté for two minutes. Next, add the sweet peppers, garlic, and culantro leaves and continue sauteing for two more minutes. Add the pigeon peas and sauté for six more minutes. Add one and a half (1.5) cups of water and let the pigeon peas cook until they are al dente. Cooking the pigeon peas took around 15 minutes. Now, add the rice, coconut milk, half a cup of water, salt and black pepper, mix everything. Cover the pot with the lid and let it cook on low heat for around 30 minutes, or until the rice is done. 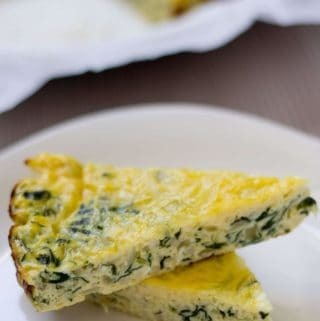 Serve with your favorite protein and enjoy! I love pigeon peas but we get little lighter in colour. 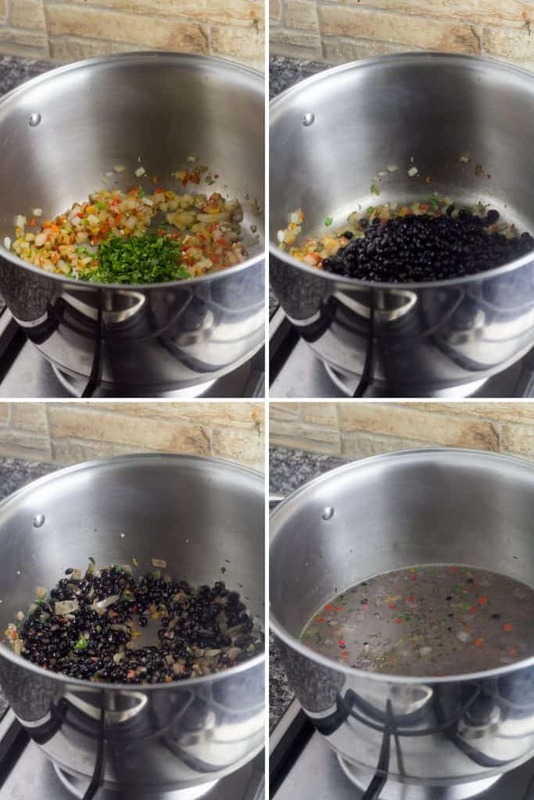 Rice with pigeon peas sounds so delicious and step by step recipe pictures are lovely. It sounds so delicious with all the ingredients. I want to try rice with coconut milk! 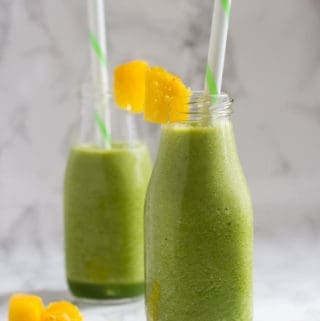 That looks awesome and I can just imagine the flavor with all of that coconut milk! I don’t believe we can get pigeon peas around me, but I am definitely going to search for them! 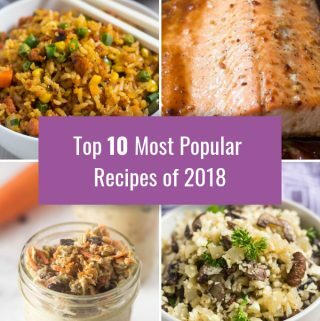 I love coconut rice so I can’t wait to try this out! Thanks for sharing.